Google rolled out an update to its Google+ iOS app on Friday, replacing previously integrated Messenger support with Hangouts, while adding support for the company's Google Drive cloud storage service. Google+ for iOS reaches version 5.4.0 with Friday's update, bundling Web-based services Hangouts and Google Drive into the Internet giant's social networking platform. The addition of Google Drive integration, which is also offered as a standalone app, allows Google+ users to view, edit and share photos stored in the cloud. Google's move to replace Google+ Messenger further consolidates the company's cross-platform Hangouts messaging platform, which unifies Google Talk, Messenger and the original Hangout video chat service. 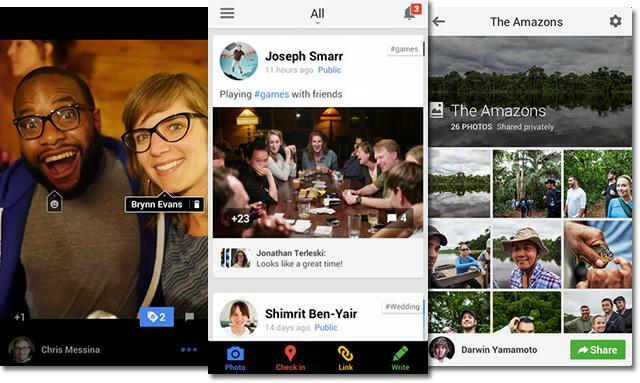 Google launched a standalone Hangouts iOS app in May. Existing Messenger users can download their current messaging data from Google's Takeout archive manager. Google appears to be paring down its iOS offerings by bundling its various standalone apps together into a few main titles. Earlier in August, the search company retired Google+ Local after identical features debuted in a revamped Google Maps app. Google+ is a free 30.6MB download from the App Store.